Jon McLaughlin 'So Close.' Enchanted song. Just as curiously – though not unexpectedly – the three Enchanted songs lost the Best Song Oscar to Glen Hansard and Markéta Irglová's “Falling Slowly” from the well-received romantic drama Once. Jon McLaughlin hasn't had a movie career so far. 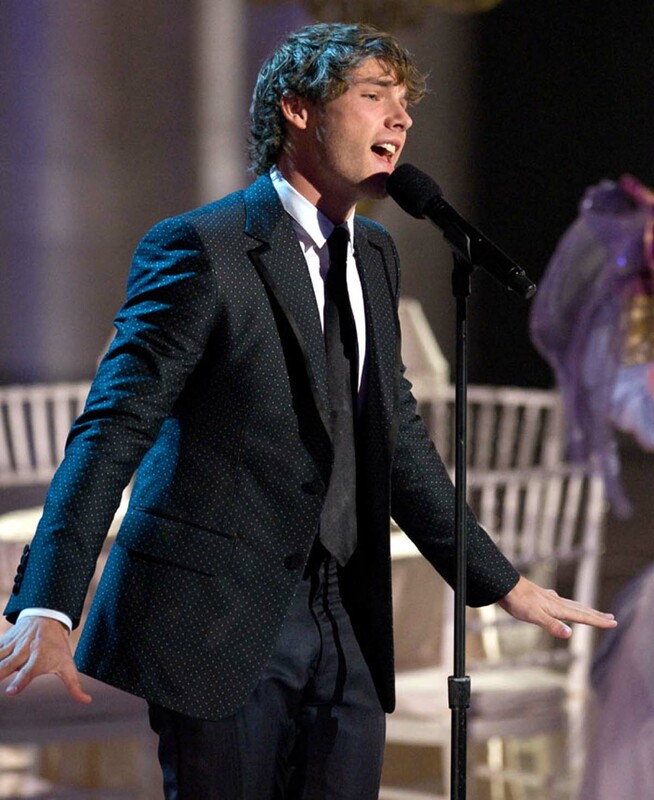 As a ballroom singer, McLaughlin sings “So Close” in Enchanted – and that's about it. Besides Amy Adams, Patrick Dempsey, and bit player Jon McLaughlin, the Enchanted cast features James Marsden, Susan Sarandon, Timothy Spall, Idina Menzel, Rachel Covey, with narration by none other than Julie Andrews. Kristin Chenoweth photo: Michael Yada / © A.M.P.A.S. Jon McLaughlin, Jennifer Hudson, Cate Blanchett, and Jon Stewart photos: Darren Decker / © A.M.P.A.S. 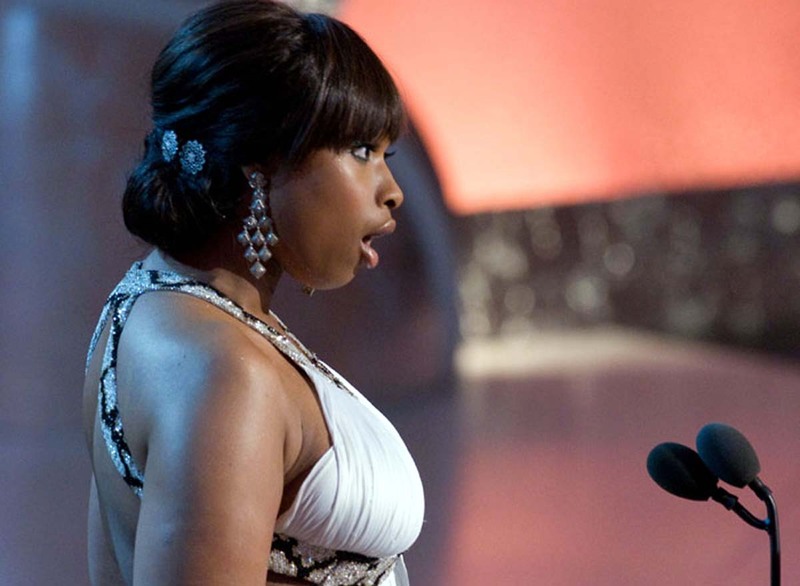 In the above picture, Enchanted's Amy Adams – donning a Veronica Lake / Rita Hayworth-style hairdo – brings a bit of old-style Hollywood glamour to the 2008 Academy Awards' red carpet. 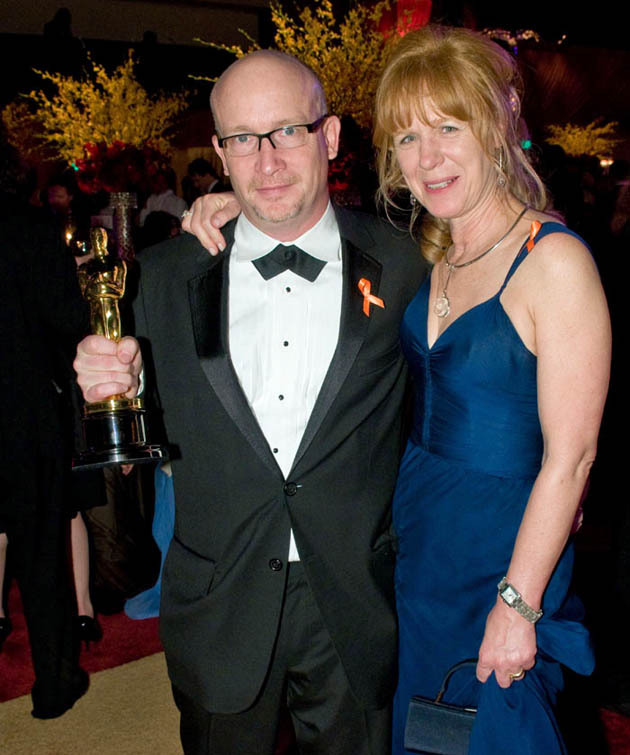 Two years prior to that, Adams was a Best Supporting Actress Oscar nominee for Junebug (2005). 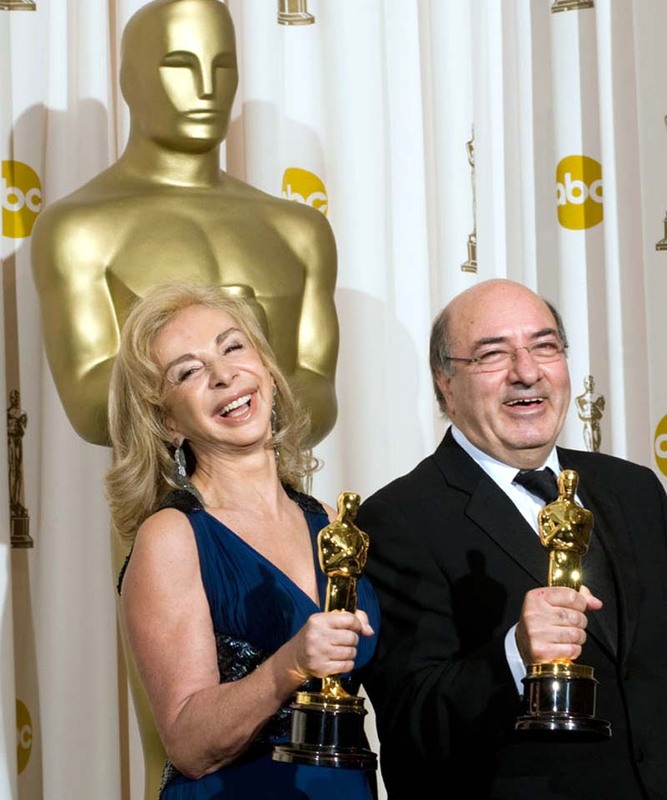 She lost to Rachel Weisz in Fernando Meirelles' The Constant Gardener. In Enchanted, Amy Adams plays the fairy-tale princess Giselle, who falls in love with – and ends up rescuing – Manhattanite Patrick Dempsey. 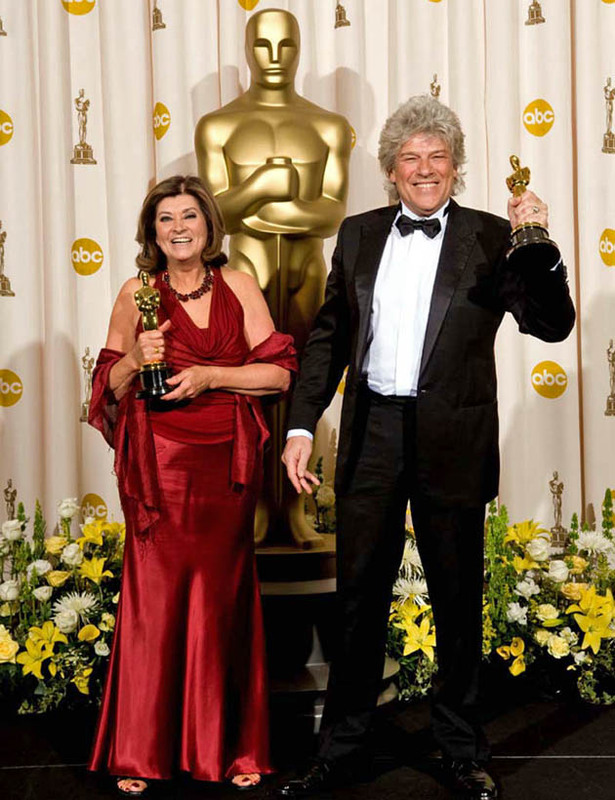 Additionally, Adams was Bonnie Bach in Mike Nichols' Charlie Wilson's War, featuring Tom Hanks, Julia Roberts, and Philip Seymour Hoffman; played a supporting role in Talladega Nights: The Ballad of Ricky Bobby, starring Will Ferrell; and had another supporting role as Brenda Strong in Steven Spielberg's Catch Me If You Can, starring Leonardo DiCaprio. Amy Adams' first movie was Michael Patrick Jann's Drop Dead Gorgeous, released in 1999. The comedy featured the likes of Kirsten Dunst, Ellen Barkin, Allison Janney, Kirstie Alley, and Denise Richards. 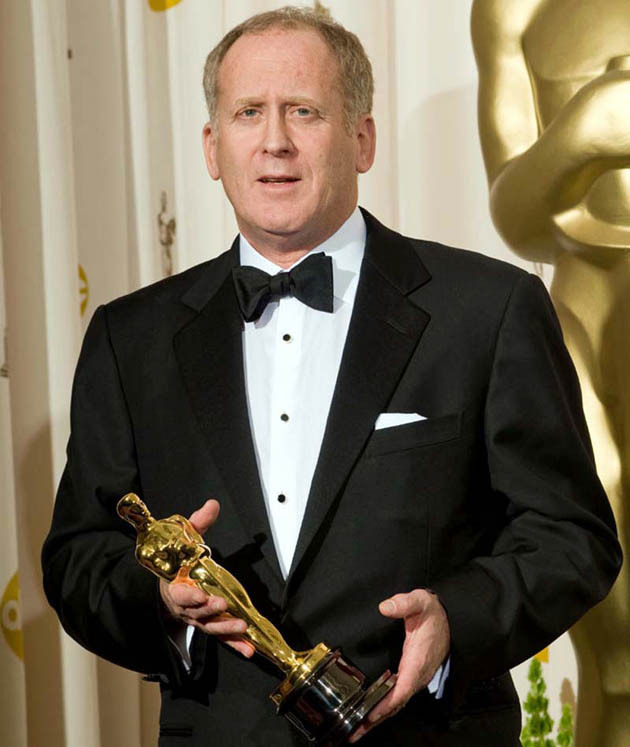 Among her other movies are Christine Jeffs' Sunshine Cleaning, with Emily Blunt; Bharat Nalluri's Miss Pettigrew Lives for a Day, with Frances McDormand; and John Patrick Shanley's Doubt, co-starring Meryl Streep and Philip Seymour Hoffman, for which Adams received her second Best Supporting Actress Oscar nod. More recently, Amy Adams joined forces with Meryl Streep once again in Nora Ephron's Julie & Julia; was Mark Wahlberg's leading lady in David O. Russell's The Fighter, for which she received her third Oscar nomination in the supporting category; and is part of Walter Salles' On the Road ensemble, which includes Kristen Stewart, Garrett Hedlund, Sam Riley, and Viggo Mortensen. Besides On the Road, which should open in the United States later this year, upcoming Amy Adams movies include an untitled Spike Jonze project featuring Rooney Mara and Olivia Wilde; Andrew Levitas' Lullaby, with Garrett Hedlund; Paul Thomas Anderson's The Master, a disguised biopic of Scientologist founder L. Ron Hubbard, co-starring Joaquin Phoenix and Philip Seymour Hoffman; and Robert Lorenz's family drama Trouble with the Curve, with Clint Eastwood and Justin Timberlake. And finally, Zack Snyder's Man of Steel, the latest Superman reboot, with Henry Cavill in the title role. Amy Adams' movies updated in 2011. 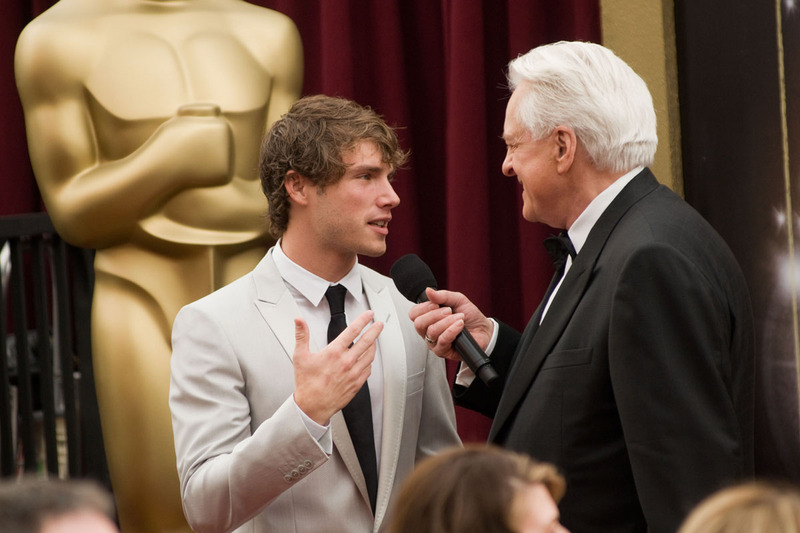 Amy Adams, Jon McLaughlin & Robert Osborne photos: Matt Petit / © A.M.P.A.S. Queen Helen Mirren and Subject Daniel Day-Lewis: British etiquette Oscar ceremony. In the image above, Daniel Day-Lewis bows to Queen Helen Mirren at the 2008 Academy Awards ceremony held on Feb. 24 at the Kodak Theatre in Hollywood. 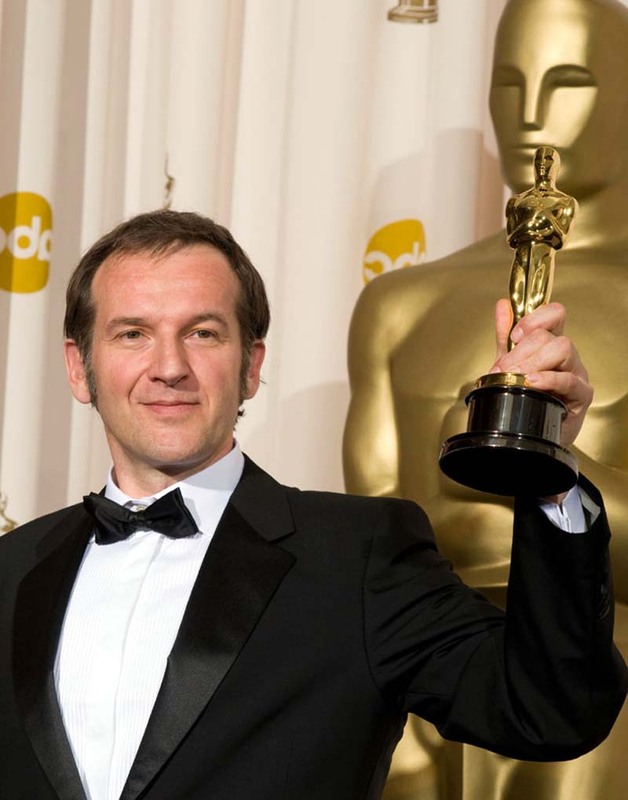 Day-Lewis won his second Best Actor Oscar for his work in Paul Thomas Anderson's There Will Be Blood – nearly two decades after his first win, for Jim Sheridan's My Left Foot at the 1990 ceremony. Additionally, Day-Lewis has been nominated for Jim Sheridan's In the Name of the Father (1993) and Martin Scorsese's Gangs of New York (2002). Helen Mirren won last year's Best Actress Oscar for Stephen Frears' The Queen, in which she plays English monarch Elizabeth II. Mirren has two previous Academy Award nominations, both in the Best Supporting Actress category: for Nicholas Hytner's The Madness of King George (1994) and Robert Altman's Gosford Park (2001). Day-Lewis has been seen only sporadically on the big-screen. Since his first Best Actor Oscar win, there have been only eight “Daniel Day-Lewis movies”: The Last of the Mohicans (1992), In the Name of the Father (1993), The Age of Innocence (1993), The Crucible (1996), The Boxer (1997), Gangs of New York (2002), The Ballad of Jack and Rose (2005), and now There Will Be Blood (2007). Pre-My Left Foot efforts include Stephen Frears' My Beautiful Laundrette (1985) and James Ivory's A Room with a View (1986). Though mostly a stage and television performer, in recent years Helen Mirren has become a much more visible film actress. Besides The Queen, The Madness of King George, and Gosford Park, “Helen Mirren movies,” whether featuring Mirren in leads or top supporting roles, include Some Mother's Son (1996), The Pledge (2001), Calendar Girls (2003), The Clearing (2004), and National Treasure: Book of Secrets (2007). 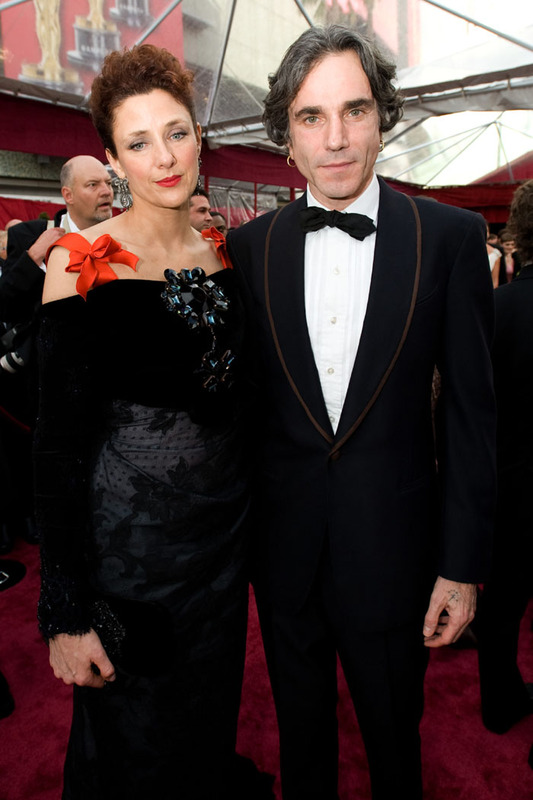 Curiously, Daniel Day-Lewis and Helen Mirren have never made a movie together. 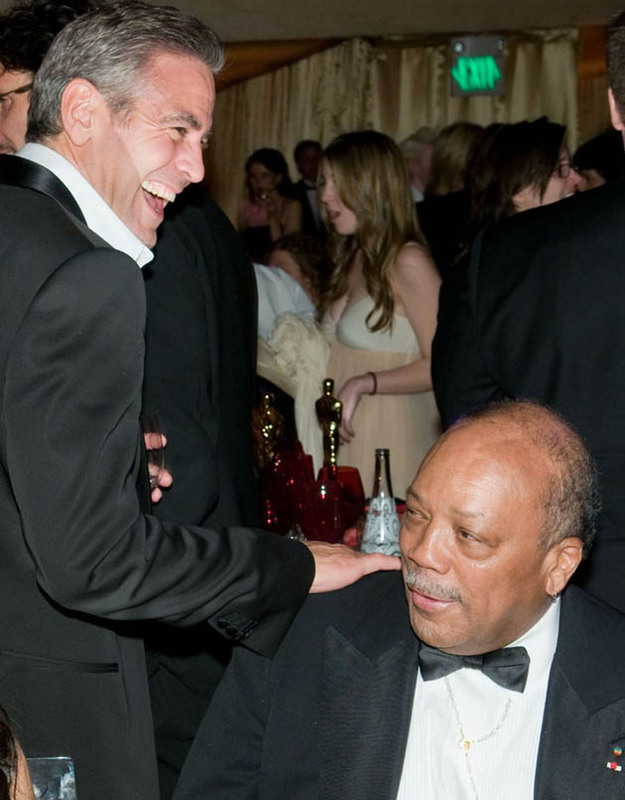 See below more images from the 2008 Oscar ceremony. Photo: Richard Harbaugh / © A.M.P.A.S. Photo: Greg Harbaugh. All photos: © A.M.P.A.S. 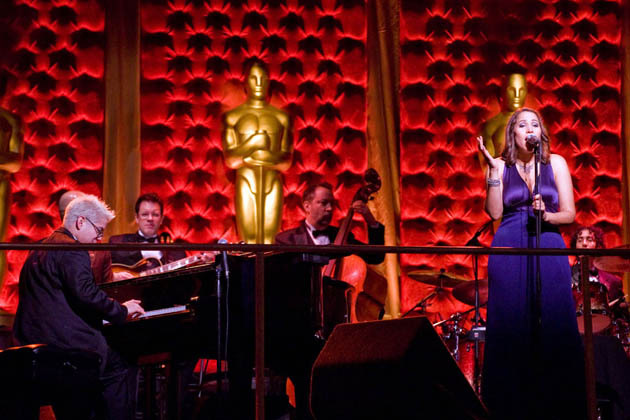 The Oscar 2008 ceremony was directed by Louis J. Ovitz and Joseph Takats. Helen Mirren and Daniel Day-Lewis, and Amy Adams photos: Michael Yada / © A.M.P.A.S. Jan Archibald and Didier Lavergne, and Robert Elswit photos: Matt Petit / © A.M.P.A.S. 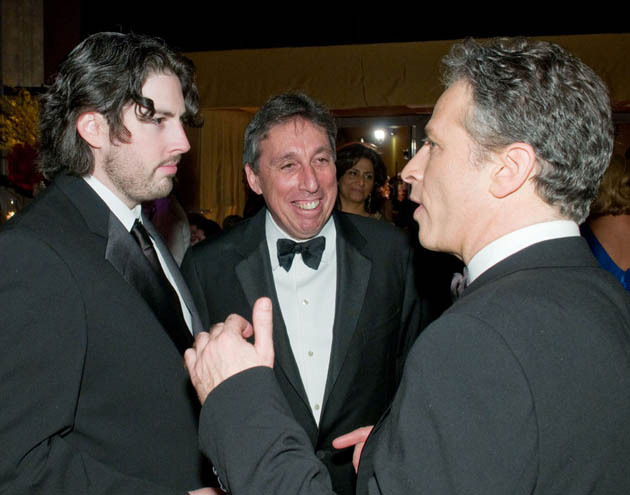 Jason Reitman, Ivan Reitman, Jon Stewart. Photos: Michael Yada (Garner). All photos: © A.M.P.A.S. Pink Martini, Renée Zellweger photos: Richard Harbaugh / © A.M.P.A.S. All other photos: Greg Harbaugh / © A.M.P.A.S. Photos: Matt Petit (Clooney). All photos: © A.M.P.A.S. 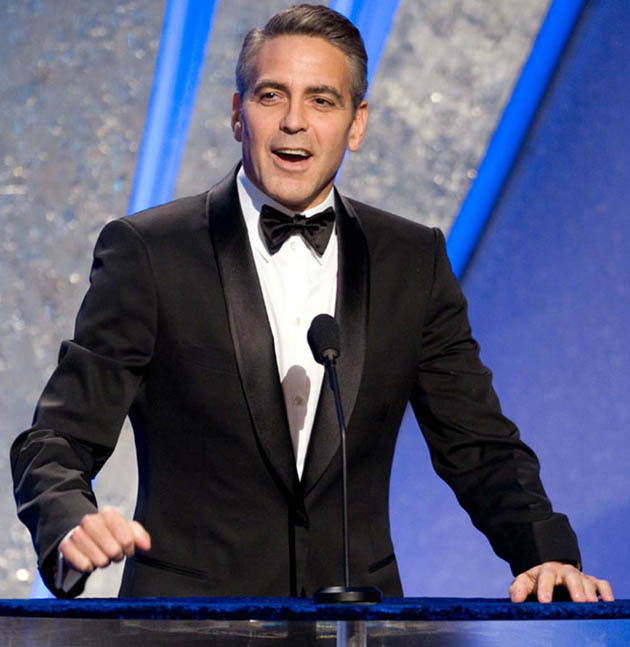 Photo: George Clooney: Michael Yada / © A.M.P.A.S. Photos: Richard Harbaugh (Dee), Greg Harbaugh (Mortensen). All photos: © A.M.P.A.S. 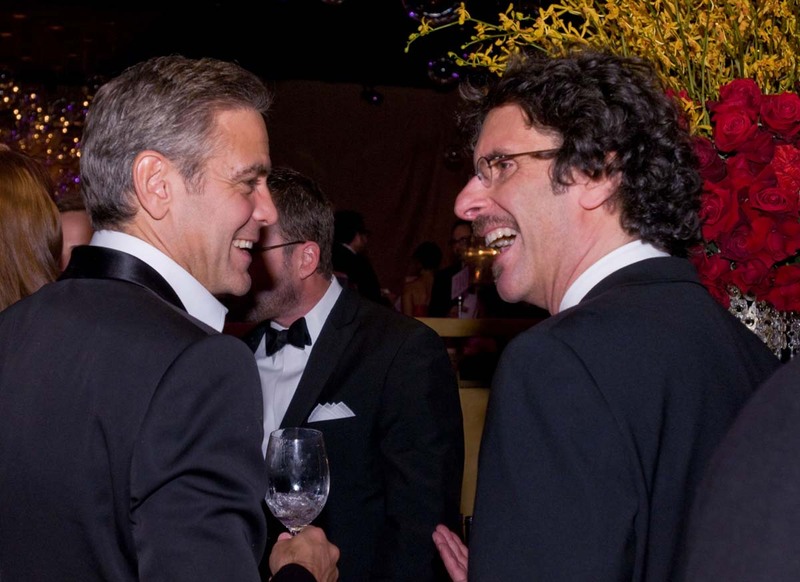 George Clooney, Joel Coen. Photo: Darren Decker / © A.M.P.A.S. 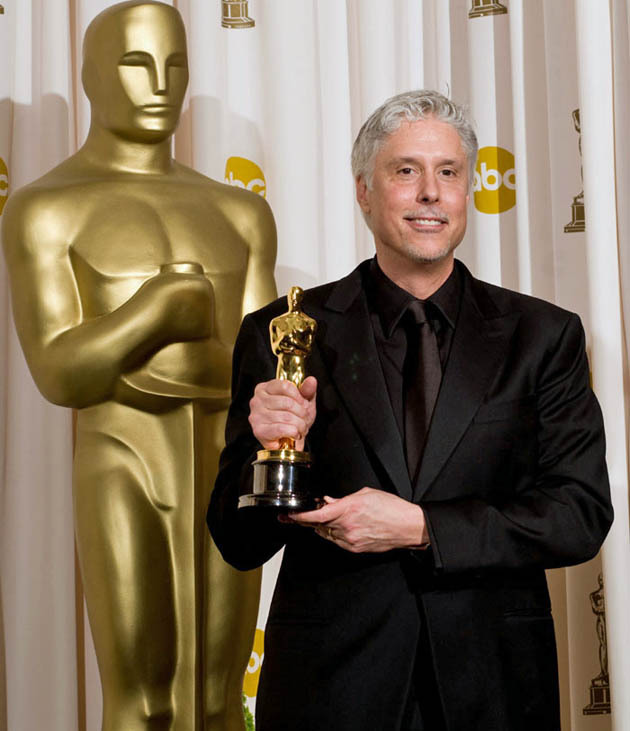 Christopher Rouse – not to be confused with the American composer of the same name – is a film and television editor whose credits include Michael Cimino's Desperate Hours (1990), several chapters of David Frankel's TV miniseries From the Earth to the Moon (1998), and Paul Greengrass' United 93 (2006), which earned Rouse an Academy Award nod last year. His father was screenwriter/director/producer Russell Rouse, whose credits include the racially conscious drama The Well (1951) and the remarkable offbeat Western The Fastest Gun Alive (1956), starring Glenn Ford, Jeanne Crain, and Broderick Crawford. Russell Rouse won an Oscar in the Best Original Screenplay category – shared with Clarence Greene, Stanley Shapiro, and Maurice Richlin – for Michael Gordon's Pillow Talk (1959), a major box office hit starring Doris Day and Rock Hudson. Christopher Rouse's mother was actress Beverly Michaels, who died in June last year. Michaels' few feature film credits include the B movies Wicked Woman (1953), directed by her future husband, and Elmo Williams and Herbert Glazer's Women Without Men (1956). Christopher Rouse photo: Matt Pettit / © A.M.P.A.S. Philippe Pollet-Villard, Francesca Lo Schiavo and Dante Ferretti photos: Matt Petit / © A.M.P.A.S.